When I decided on FoodandFrets as the title of my blog I had in mind writing about the two passions in my life; Food and Guitars. As it turns out, I only ever write about food! My fretwork hasn't yet featured and I doubt it ever will! 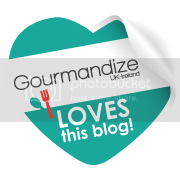 This blog has become a place where I can document my recipes, share my thoughts about restaurants, recipe books and pretty much anything food related! Food and Guitars have been my source of employment since I started working. I've been a guitar teacher, a butcher, a cook and now I'm a teacher of Food Technology and Catering at a comprehensive school in the North East of England. I'm settled as a teacher now; as a father of two gorgeous kids it allows us plenty of time together during the holidays! Samuel (3 years) and Sophie (4 months) feature a lot in this blog, as does my wife Mandy (not going to mention her age!) as I'm usually cooking for them!